Admatch Regal is a custom branding and paper-products promotional company serving industries that include hospitality, restaurants, hotels, bars, lounges, music venues, casinos, retail stores, sports teams, and film/TV events, among many others. 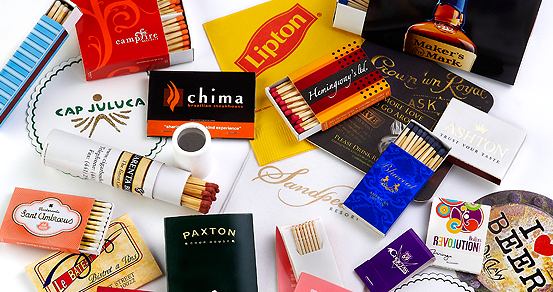 Founded in 1969 by Arthur Nackman, as strictly a matchbook company, Admatch Regal, (still a family owned and operated company) brands, prints, and helps design images and logos on products ranging from custom printed Matchbooks, Matchboxes, Bar Coasters, Cocktail & Dinner Napkins, Hand Towels, Toothpick Packs, Cups, Popcorn Buckets, Scented Spa Wipes, and much more. Admatch Regal has distribution nationwide with customers in all 50 U.S. States as well as much of Canada, and parts of Europe. We are a veteran of the printing and branding industry and have always strived to put forth the best quality and most effective promotional products possible for all advertising opportunities and mediums. Quite simply, we produce products that promote! We are a longtime A+Rated supplier member of ASI, SAGE, Promo Marketing, and Distributor Central where a full database of distributors can be found as well as our full digital catalog.